ROMANCE BOOK PARADISE: Nicola Marsh with BUSTED IN BOLLYWOOD giveaway! Nicola Marsh with BUSTED IN BOLLYWOOD giveaway! We have Nicola Marsh at Romance Book Paradise and she's got giveaways for you! And there are still more places to visit and books to win with CHRISTINA HOLLIS . Follow on this blog tours for MEGA GIVEAWAYS! Follow and Comment for giveaways and to go in the Grand Prize Draw! While Nas basks in the beauty of Fiji, I’ll answer her questions. Are you tea addict or coffee? Neither! I don’t drink tea or coffee very often. If I do, I prefer herbal teas. Though I do enjoy a nice latte at my favourite café now and then. I have a wicked sweet tooth so my favourite wine is Muscato. Delicious! Sweet pastries or spicy samosas and savories? Can I have my cake and eat it too? I adore sweet stuff and I love spicy almost as much. What can I say? I love my food! Jeans or dresses or saris? I’m a busy mum so jeans daily but I love dressing up! If I could I’d wear glam dresses every day, though I’m sure I’d get odd looks at school pick up! I love seeing women in beautiful saris, such a timeless elegance. Hugh Grant or Ashton Kutcher? Besides, my hero Drew Lansford bears a striking resemblance to Hugh so I have to choose him! I used to watch a lot of movies pre-kids, both Bollywood and Hollywood. These days, when I’m not running after them or chained to my computer writing, I spend my limited downtime reading. Watching the magical, colourful, spectacular Bollywood films inspired me to write BUSTED IN BOLLYWOOD. So much fun! I’m a rom-com girl at heart (another similarity to Shari!) so give me a Hollywood chickflick with a hot hero and I’m in heaven. Tell us about BUSTED IN BOLLYWOOD. Today, as part of Nicola’s BOLLY-BITES (recipes taken from dishes in the book) she’s presenting Nas Dean’s fast version of idlis (steamed rice cakes without the rice!). Actually in the longer version we have to soak rice and lentils for few hours and grind to make paste, and it takes an hour of steaming. So this is my fast version! 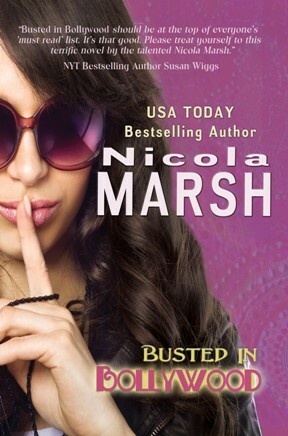 Nicola’s giving away an E-book of BUSTED IN BOLLYWOOD. If I was stranded in Fiji, I wish it was with… in the comments. That book sounds cool, Nicola. Lately, my entertainment has included several works with Indian love interests, so it would be right up my most recent alley. If I was stranded in Fiji I wish it was with my lovely Indian husband, because we haven't had a holiday in years. Girls, I live in India and I need to read this book. Can't find a print copy anywhere, so I'm trying to win the ebook! Good luck to all participants! Ha! BUSTED IN BOLLYWOOD sounds like a lot of fun! If I was stranded in Fiji, I wish it was with my hubby and a sense of adventure. Thanks Azarimba, Missabegaila and Lynda! You girls all are welcome to Fiji! Good luck in the draw Maria! Recently I went on a trip to India and I found BUSTED IN BOLLYWOOD depicting it very beautifully! Awww...very romantic to choose your better half, Azarimba. Hope you enjoy Busted in Bollywood. Sounds like another romantic story there, MissaBegaila? I hear you, Maria, been years since I've had a holiday too, kids! Thanks for adding all your pictures to the blog post, Nas. That sari you're wearing is gorgeous!!! And the pictures you added of the idlis? Those look amazing, and the book looks even better! Busted in Bollywood looks excellent. Family is good to be stranded with, Robyn. We sound like twins. I'm a Moscato girl too and I LOVE cake and of course rom-coms. Can't wait to read Busted in Bollywood. My copy is on it's way from Book Depository! Fun questions and food at the end, can't get much better than that. It sounds fantastic! I do love Hugh Grant, too (well, when he was a bit younger). Great responses, Nicola. I've never seen idli's made with semolina - will have to try that sometime. It was a staple in our house when I was growing up. If I were in Fiji...hmmm, it would be with any one of my heroes. See, I created them - to me they're quite perfect . The Bolly bites look delicious. Congrats on the new release, Nicola. I did too, which is why he may have inveigled his way into this book! I love the cover of Busted in Bollywood. But I'm not getting a chance to read as there is only one e-reader in the house! I liked holding print books to read uptil now. Wonder if I'll ever convert? And oh yes! Mum made the Idli and it was yum! Look-wise, I pick Hugh Grant. But they both sound like not the best people for relationships. What a fun question, Nas. Thanks for introducing me to Nicola. Wow, those giveaways are incredible! and I really MUST try that recipe. It looks amazing. Sounds like a very fun book! ...I wish I was stranded with my laptop and wifi! Sick, huh? Great interview - and now we get recipes too? So much fun! Like you, I still prefer print! 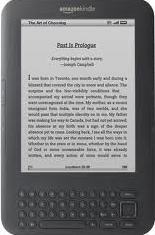 Bought my kindle as a birthday present few months ago, rarely use it, still like holding paper/hardbacks in my hands! I'm doing loads of recipes for Indian dishes taken from the book, Deniz. I wanted to make the blog tour a little different...and delicious! @ Nicola. Thanks for the info Nicola! @Nas - You must have been in the south I suspect. I'm waiting patiently for BinB to reach my local bookshop - or at least my online booksellers! oh, wow! This book sounds fantastically fun! :D I love the title, and I've got a soft spot for Hugh Grant, too. So def. TBR pile~ :o) Thanks, Nas & Nicola! @Maria, We were in Delhi, Jaipur- the red city, which is mentioned in BUSTED IN BOLLYWOOD, visited- Haridwar, Nainital, then onto Shimla, Kullu, Manali- then Punjab. Chandigarh, Amritsar- The Golden Temple, Vagha Border, back to Delhi, then Agra, The Taj Mahal. Then Mumbai. It was a whirlwind tour! But bought saris! @Nicola - I know about the e-Reader. Once she was stuck at the dentist then read one whole book on it! Otherwise she prefers print only. And she goes by cover- she won't read if the cover is not to her liking! Maria, Busted in Bollywood won't in bookshops until mid 2012, so you'll have to grab it online for now. LTM, hope you enjoy Busted in Bollywood! Forgot to say, Nas, that sounds like an amazing trip through India. Nas has a great blog, Elizabeth. @ Nas - you were in my state Uttar Pradesh. I'm in Lucknow which is the capital but most tourists bypass our beautiful city in favour of the Taj :(. Hope you get a chance to come here someday and I'm so glad you enjoyed your rip. @Nicola - thank you very much, got my copy! Will be visiting your blog soon! I remember Lucknow! We crossed it by train during the night and had a stop over for thirty mins! Wish I'd known you then, we could have met! For us, we don't actually have any connection to India so it was an amazing trip. All our trips been through reading before that. Even your M&B Romance- A TRIP WITH THE TYCOON was a great journey through India! And now BUSTED IN BOLLYWOOD completes that journey with spectacular romance and amazing Indian dishes! Maria, you will love reading Busted in Bollywood, as it has all Nicola's sensational and master story-telling. But with an alpha hero who flirts and is fun to be with....*sigh*!!! Busted in Bollywood sounds charming. Congrats on the release, Nicola. I'd want to be stranded with Daniel Craig. Hope you enjoy the book, Maria! Daniel Craig is another great choice, Medeia. Thanks to everyone for their fab comments, and a huge thanks to Nas for hosting me here, I had a ball! The winner of Busted in Bollywood is...Lydia Kang. Please email my publicist lewis at entangledpublishing dot com to claim your prize.